The Splat the Cat books by Rob Scotton delight children as they follow the adventures of Splat the Cat and his friends. 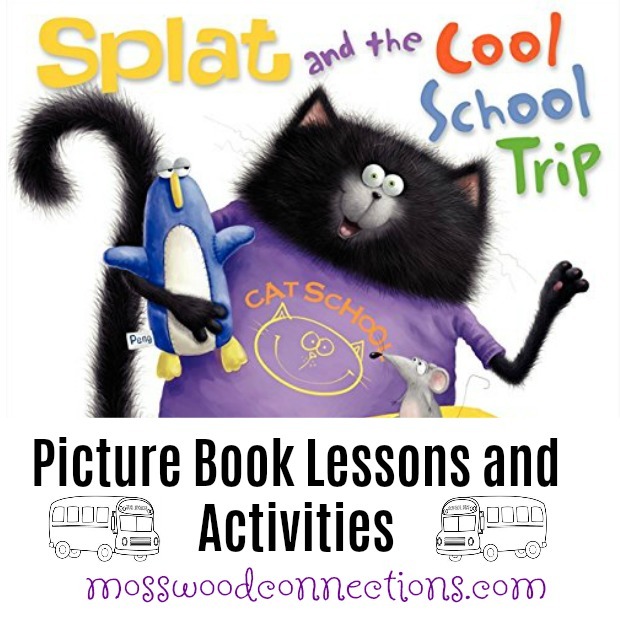 We have so much fun reading the books that we created some Splat and the Cool School Trip Lessons and Activities to go along with one of our favorite picture books. Join Splat the Cat on a school trip to the zoo. Splat the Cat is so excited when Mrs. Wimpydimple announces that the class will be going to the zoo. While everyone calls out his or her favorite animal—Elephant! Giraffe! Monkey!— Splat only wants to see the penguins. After all, penguins are perfect; they are black and white, just like Splat! All day long, Splat just can’t wait. But when the smallest animal makes the biggest splash and shuts down the penguin exhibit, Splat goes home disappointed and alone . . . or does he? 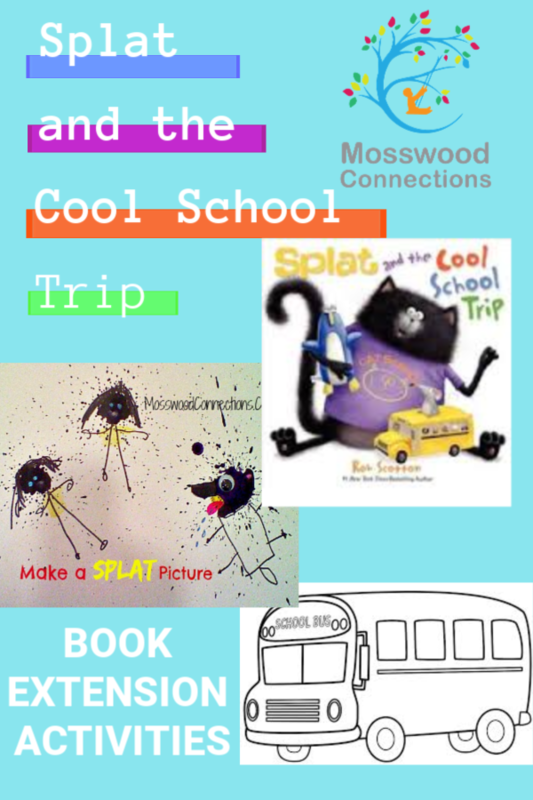 Extend the fun of reading picture books with Splat and the Cool School Trip Lessons and Activities. Have you ever been too excited to go to sleep? What did you do when you could not fall asleep? Here are some of our ideas: Listen to music. Make up a chant about the next day; repeat that chant until you get sleepy. Draw a picture and/or tell a story about what you are excited about. Tell about a time when you felt disappointed. What did you do? Do you like to go to the zoo? Why or why not? What is your favorite animal? What do you like about that animal? If you could plan a field trip where would you go? Why? Harper Collins has fun, free activities and event printables with Splat the Cat coloring pages. Take a virtual field trip to the zoo. SanDiego Zoo Kids has a plethora of fun resources and games. Splat had fun seeing all the animals at the zoo. 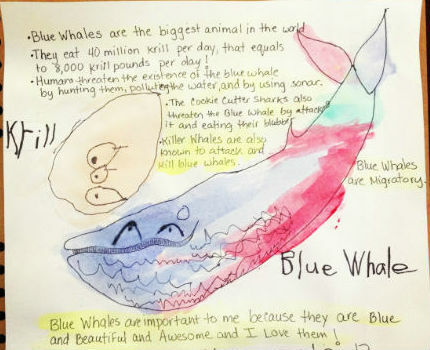 Choose your favorite animal and draw a picture, make a research paper. MELD Lesson Plan based on California State educational standards. Make a Splat the Cat look-a-like out of a paper bag. 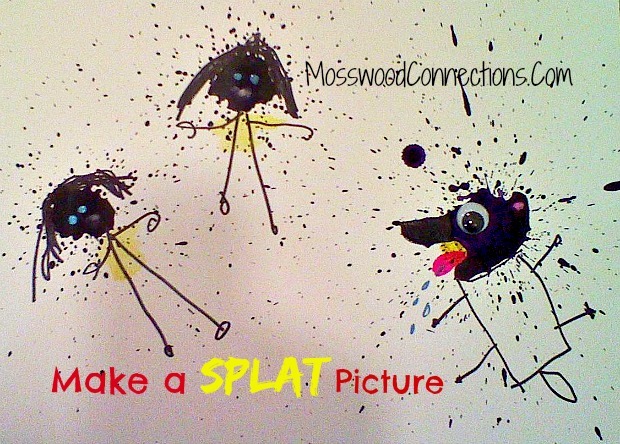 Make your own Splat Pictures. Tell a story to go along with the picture. Do a dot-to-dot penguin activity or penguin coloring page! Choose from one of these 11 adorable penguin crafts. Download the School Bus Coloring page. Two by Kathryn Otoshi – Picture Book Activities: "Two is best friends with One. Whenever they'd get the chance, they'd dance! She'd sing and snap. He'd tappity-tap. What a pair they made! At the end of each day, they'd always say, "ONE, TWO, I'll count on you, 'til the end, we'll be best friends." Until Three jumps in between them . . . Suddenly One only wants to play with Three. "ONE, THREE, odds we'll be!" they chant. Two feels left out. But what can she do? Another character-building counting book by award-winning author Kathryn Otoshi, Two is a powerful story of friendship, loss, letting go, and self-discovery." The Pea Patch Jig Picture Book Activities: “Where the pole beans climb, where the tomatoes grow fat, where the onions smell sweet and the corn is yellow as the summer sun, that’s the garden of Clem — Farmer Clem.” So begins this story about Baby Mouse, a tiny mouse who loves to go exploring in the garden. But watch out! You never know what might happen when Baby climbs into a head of lettuce or up a tomato plant, or when there’s a fox on the prowl. These are some of the ingredients of The Pea Patch Jig — a book as refreshing as a summer evening in Vermont. The Day the Crayons Quit Crafts and Activities: The Days the Crayons Quit is a super cute story that explores feelings and conflict management. Poor Duncan just wants to color, but when he opens his box of crayons, he finds that his crayons have had enough! They quit! The crayons are all arguing about which one of them is more important. The story explores a bunch of different feelings in an amusing and relatable way.